Hi, everyone! Welcome, I'm so glad to have you visit. 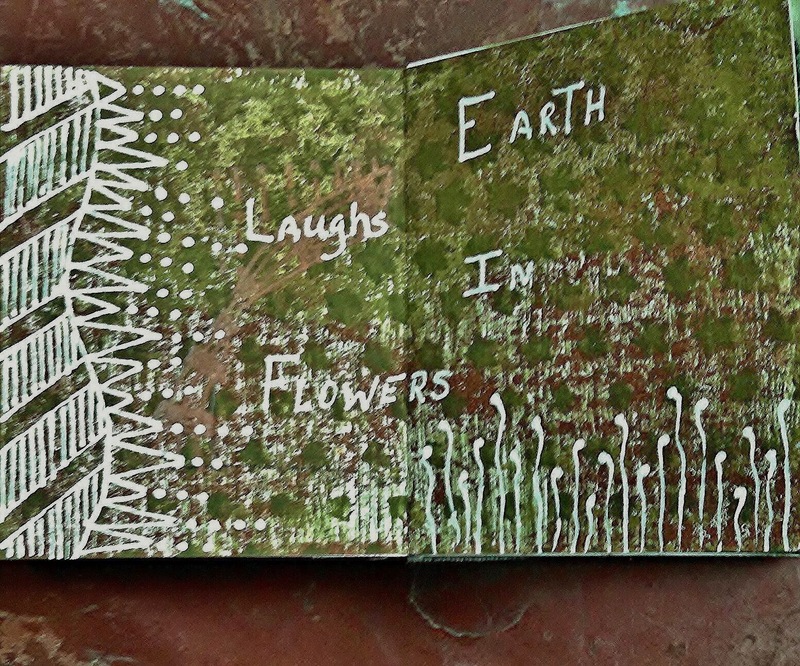 Today I'm going to share the work from a class I took using the Gelli Plates. 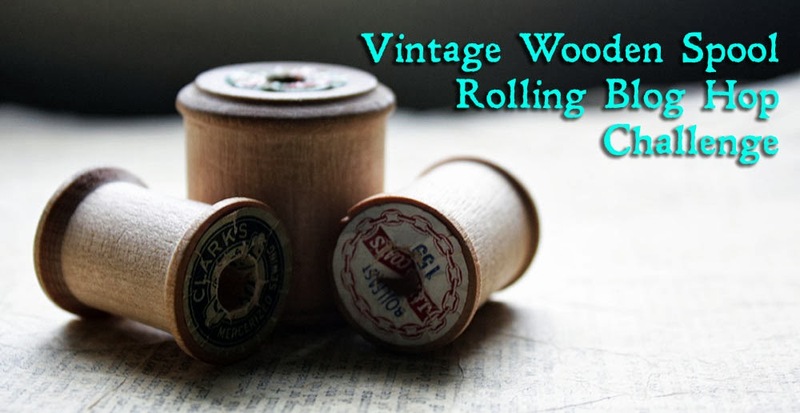 I had avoided getting into Gelli printing because I really didn't want another tool to work with (crazy, I know) and I really didn't like a lot of the prints I was seeing online. Too many colors in one print and too random for my taste as a background. So, I kept avoiding the whole topic. Several people were telling me I really should try it because I'd be hooked, but I resisted. And, then a friend of my daughter's bought a small plate, 5x7", and brought it over for us to play with. I realized that if you didn't use too many colors at one time you could come out with some good papers. 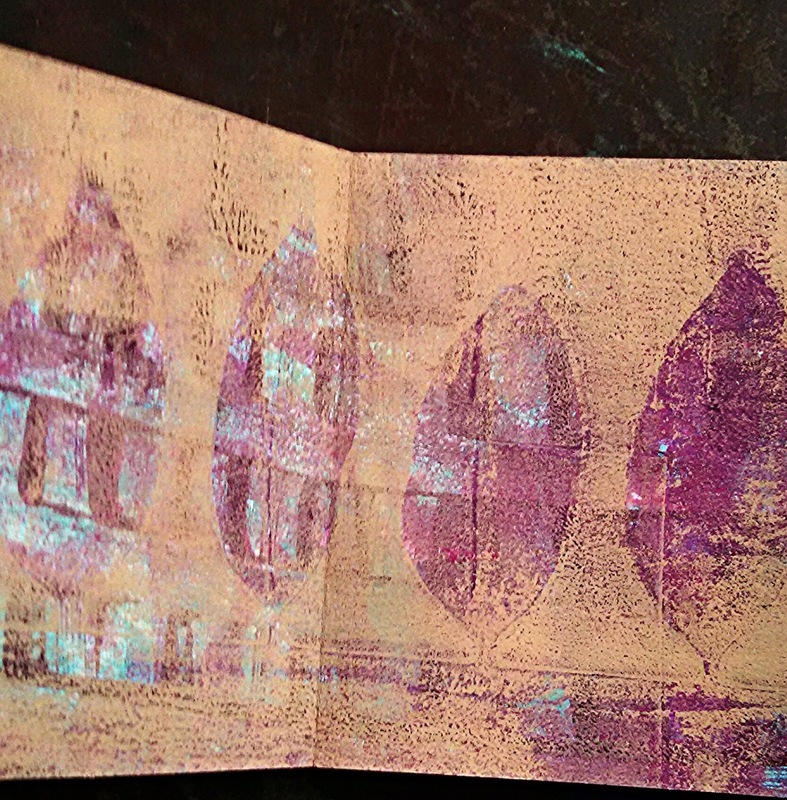 So, I, along with my daughter and her friend signed up for the basic Gelli Plate class at The Queen's Ink. We had a great afternoon and we left with two little books full of papers made in the class. The covers are book board which we covered with the sheets that we used to clean off the plate. Truthfully, they ended up being some of my favorite prints of all! We used sticky back canvas that we printed for a spine binding. I may eventually embellish the covers but for now this is how they look. For the pages we used unlined index cards to make the prints. 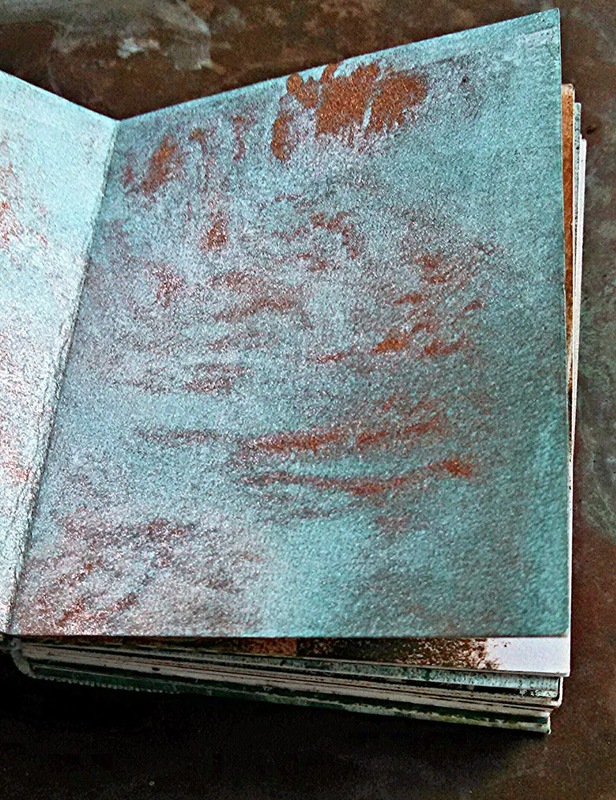 Terry, the instructor who does great Gelli prints, brought in all kinds of things to create texture on the plate. We used stencils and masks, the bottoms of cut up flip-flops(! ), textured wall papers, sequin waste, the list is endless! To make the pages we folded the cards in half and glued the them together. It's a really quick way to make a little journal. I'm going to use mine to record quotes and do some Zentangles. I've done a bit of both in one of the books. The rest of this post is going to be pictures of some of the prints in the books. Enjoy! 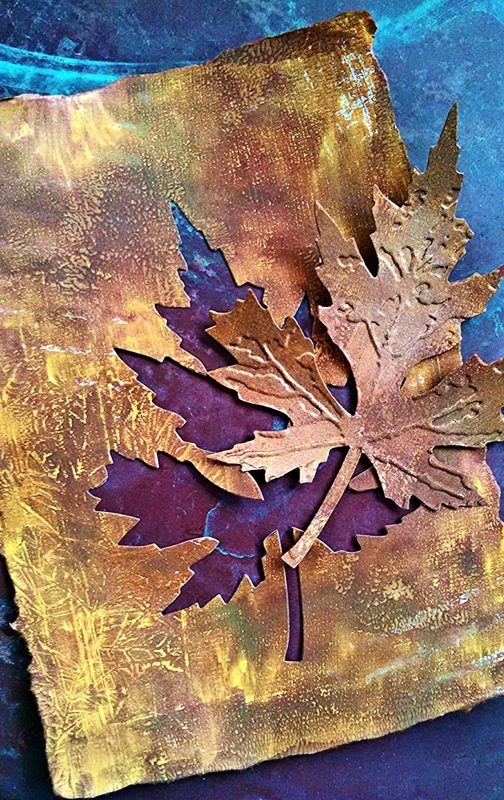 I used metallic copper paint and a piece of textured wall paper. I really like this one a lot! Some sage green paint from a previous print showed up in some areas. I didn't like the colors I got with the first pull so I put cream paint over the plate and ran a comb through it. Voila! I liked it with the previous colors just peeking through. I did some tangling on this spread and used a quote that I've always loved. There will be more of these as I work in the books! The leaf shapes were from a mask that I laid down on the plate before I printed. By using just a copper paint and a light blue paint I was able to control the colors. The picture doesn't show the copper metallic well but it looks great having that glimmer show though. This print I did when our friend brought her plate over to play with. I used a leaf embossing plate on one side. I liked the print so much that I used the new TH leaf die and embossing folder to cut a leaf. The colors were so fall like and there is a copper glimmer on this one too! I found that the prints I liked best were the ones where I was better able to control the colors. And, some of the textures were great. I also discovered I loved metallic paint peeking through. The glimmer is very cool. I'm glad I bought the plate. I like the papers I made with it and I want to work more with colors combinations and the metallic paints. 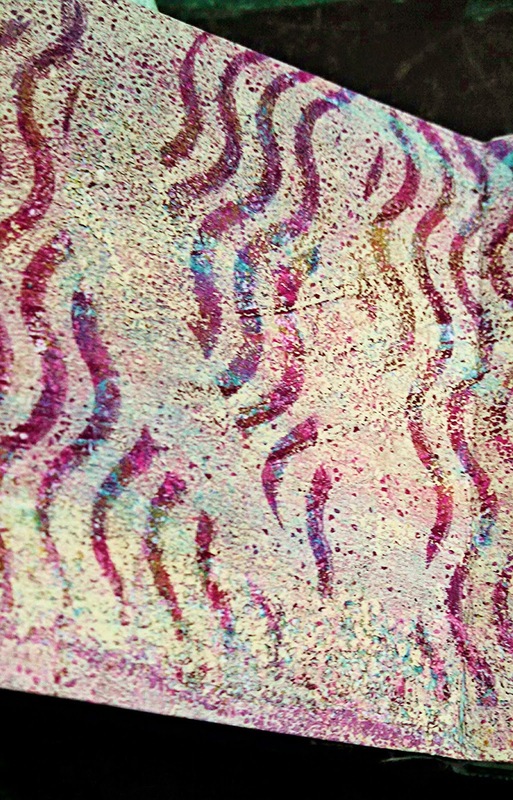 I'm sure you'll be seeing more backgrounds in my work that I've created using my Gelli Plate. Thank you for visiting with me today. I'm glad I got to share my first adventures with the Gelli Plate with you. I hope you have a wonderful day and a great week. These are all so cool! the textures and colors have such depth to them! OMG, these look fantastic!!!! Like you I have been avoiding the Gelli for exactly the same reasons, but just a week ago I had the chance to buy one whole sale, so I now have a little 6 x 6 one waiting to be used. You have just totally inspired me, these look so cool! The top one is my absolute favourite. I shall now have to go to find some textured wall paper..... Brilliant and how lucky to do a class!! 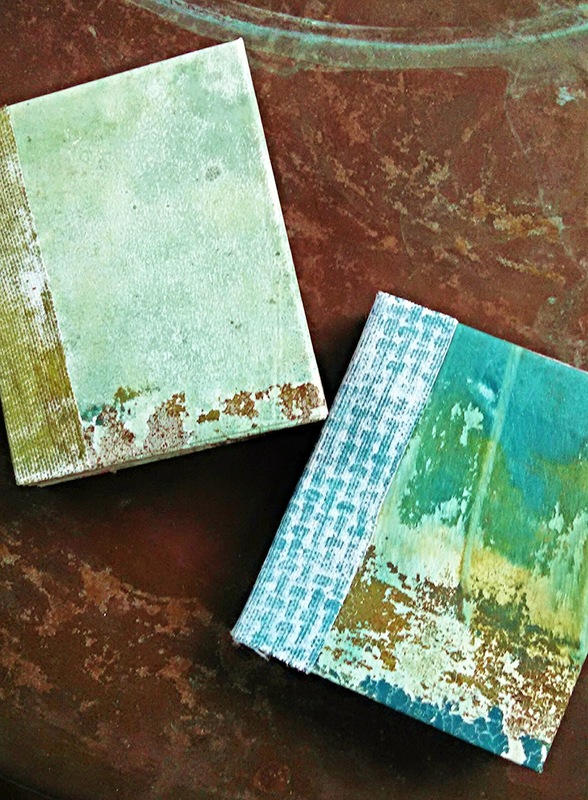 They are gorgeous gelli prints, you've got some beautiful effects and I love the wall paper one - very clever! I agree with you too, I didn't like a lot of what I was seeing on the web, the colours were way too strong and uncontrolled for me to work with, but I love the effects of the second and third pulls off the plate and the more controlled use of two or three colours only. Glad you had fun with it, I'm looking forward to seeing more of your little books - they are delightful. Love all the colors you used! For prints, I really liked both leaves and the book cover. Great idea for the cover! I am so excited be be visiting you again :-) Looks like you had some fun with the Gellis. 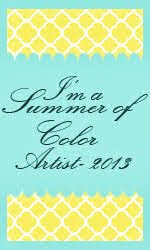 I just got my first gelli plate and signed up for an online workshop. I haven't started experimenting yet, as I'm trying to get my jewelry inventory together for my first art show next month. Honestly, these pages are SO gorgeous, I may have to put my needle down and arm myself with some acrylics! Sometimes you just have to let go of your in trepidations and just go for it, and I am so glad that you did, your book is beautiful! It makes me want to make a book just for the fun of getting creative in a new way. 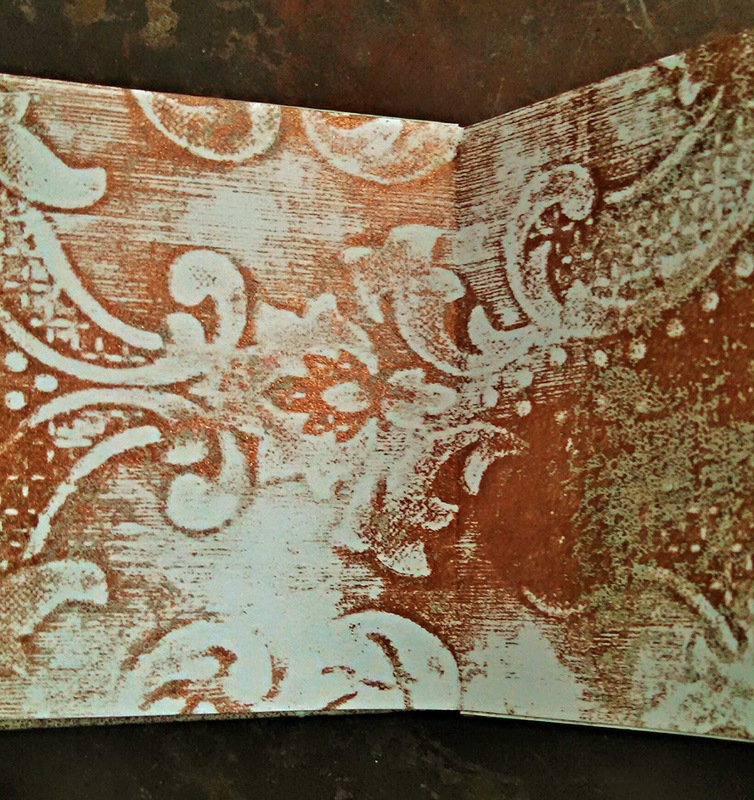 I am really glad that you've dived into Gelli printing. I think every artist adds her own look to the work. You know, *you* are the artist, you can control the colors and designs just how you like. There are always so many ways to experiment and I think that Terry Quinn gave us an amazing introduction to playing with this artform. I just got a Gelli Plate too. Of course, I love a wild mix of colors but your more subdued palettes and metallic paints make me want to give those a try too. I really have no idea what I'll do with the prints I've made yet. I've just enjoyed making them so far. I'd love to know what kind of pen you used to do your Zentangle and quote. The white is so thick and flawless. It's lovely. Hi Maryanne! 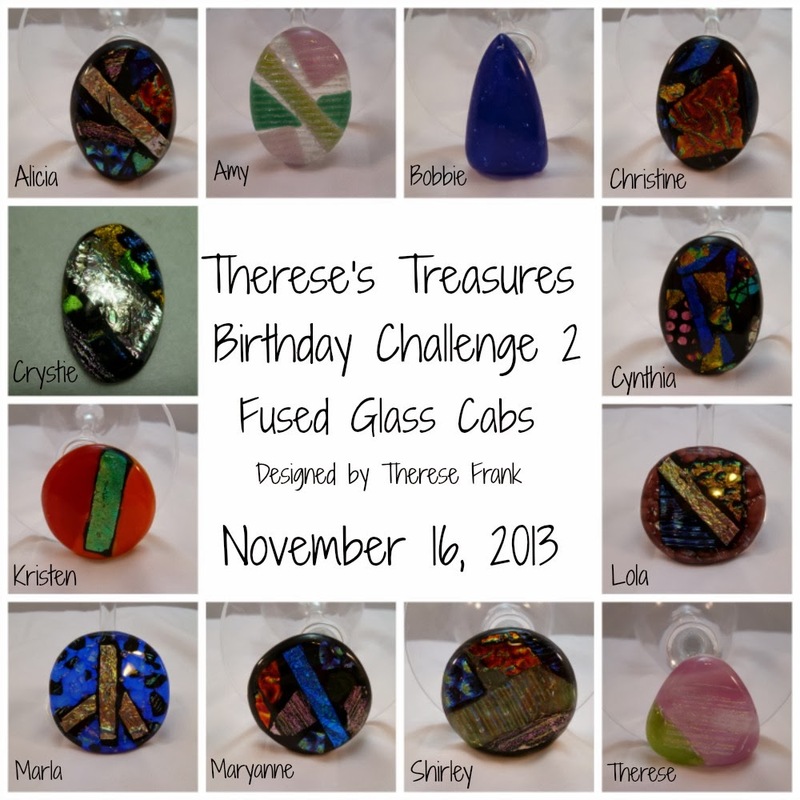 I absolutely LOVE what you did with your new Gelli plate! I love the muted colors and the cool things you used to come up with designs. 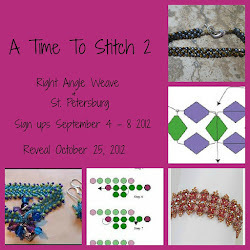 (I wish we had a class around here!) I cannot wait to see more because what you did with your pages so far is simply awesome! I really like your cover , too! - - - I am in awe that you used prints from your clean up! What a brilliant idea! Your blog always inspires me, Maryanne. Thank you for sharing your experiences and talents with us. And thanks also for your wonderful visit to my blog!